1. 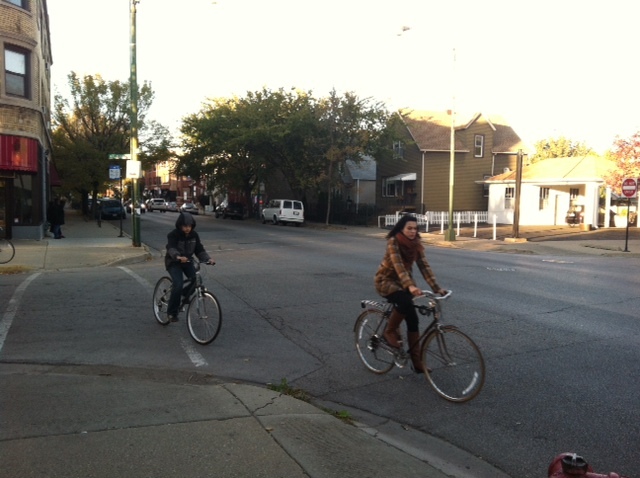 The new, two-block bike lane that Moreno is using 1st ward menu funds to install (awesome!) will not connect to a bike lane at either end. Are there different wards at Logan (north end) and Fullerton (south end)? 2. 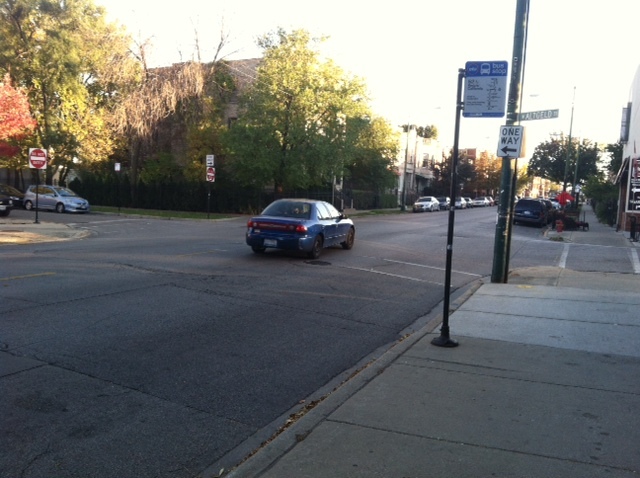 California north of Logan (until Diversey) also has rush hour parking controls. Will those be removed in this ordinance? On the south end, I agree: it doesn’t make much sense to install bike lanes that end at Fullerton. On the north end, however, the outer boulevard lanes on Logan offer a relatively safe route that many cyclists use. Moreno’s 1st ward extends south on California into Humboldt Park. We’re not sure how much of California Moreno’s office plans to include in his bike lane plans. Perhaps he does plan to install lanes further south. A better link to The 606/Bloomingdale Trail and Humboldt Park would be wonderful. Heading north, California is in the 32nd ward between Logan and Diversey. I don’t know whether there are any plans to remove the rush-hour lanes there. Diversey is another cross town route on the Streets for Cycling 2020 Plan, so it seems logical to extend the bike lanes that far at least. North of Diversey, California’s in the 33rd ward. Bike lanes up there will be a bigger challenge, because there is a high volume of motor traffic going to and coming from the Kennedy expressway. As a new resident (Since September) of the 2400 block of N. California, I approve! Thanks to all for their work on this! I noticed that the rush hour parking controls were removed between Logan Boulevard and Fullerton Avenue earlier this year (either in February or early March). I’m disappointed that it seems north of Logan, to Diversey, will not see changes to allow for bike lanes or sharrows. It seemed to be Moreno’s initiative to get those rush hour lanes removed. On California, Logan Blvd is border between Moreno’s 1st ward and Waguespack’s 32nd. Perhaps that would explain why the lanes were removed only along that short stretch of California.